It feels like I've been away for ages! It's only been a week but I've been super busy and had quiet a bit going on. 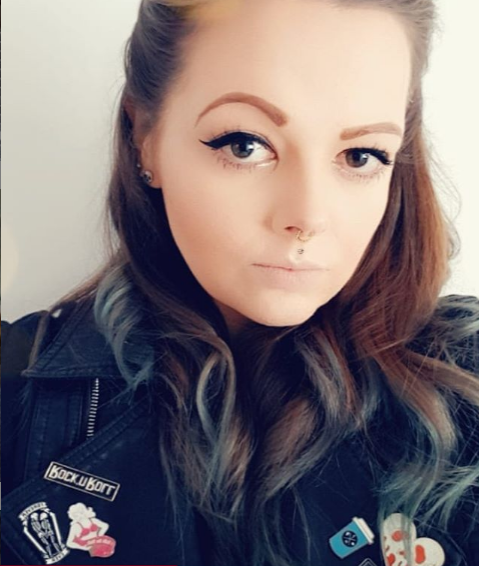 I'm back now and I thought I'd share what's been going on in my life! Thursday night I was off to Somerset for Tattooed Owl's Grandad's surprise Birthday party! It's a good 2 and a half hour drive but we got there pretty quickly as there wasn't much traffic around thankfully! 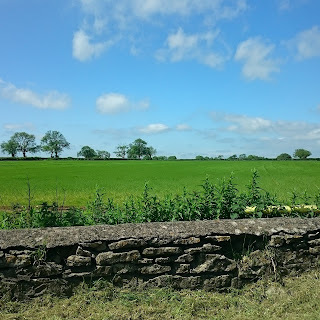 Shepton Mallet in Somerset is a tiny little village with not much about really. All the supermarkets shut at 10pm and everything is a good 10 min drive away. It was lovely to get away from London though! 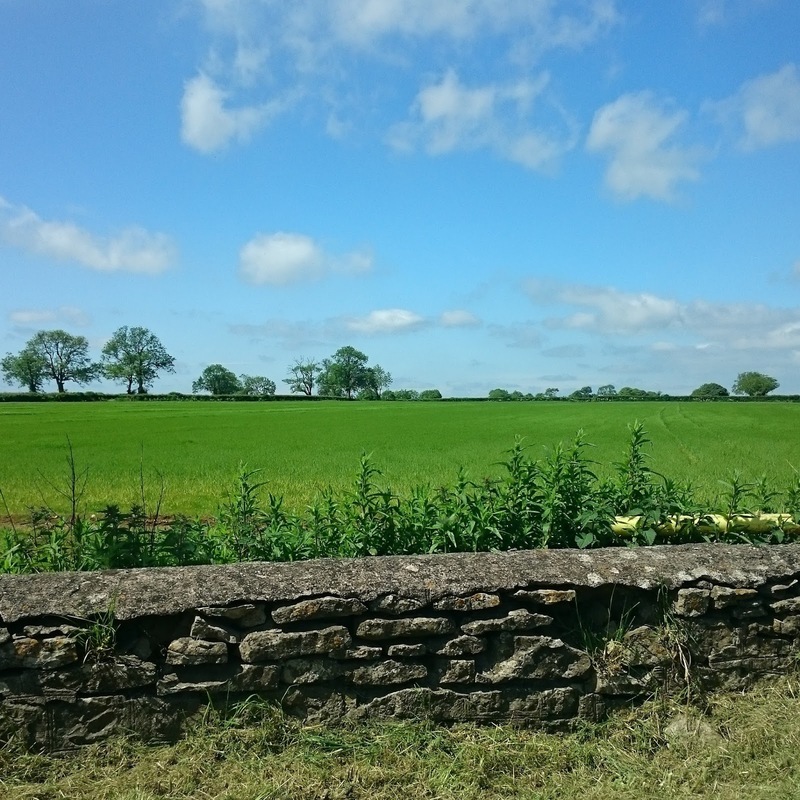 Somerset is really pretty, lots of open spaces, tiny country lanes and gorgeous little shops. It really is a lovely place to spend a few days! I went for a walk everyday around a huge field and it was amazing how quiet and beautiful the views are, something we definitely don't get in London. No massive tower blocks, no traffic jams and just miles upon miles of scenic views! 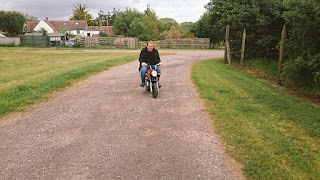 All of Stews family are pretty much motorbike mad, so obviously the motorbikes came out! I've never ridden a motorbike before but with a bit of persuasion I decided to take the leap and give it a go. Needless to say I won't be going out and purchasing leathers any time soon. I went about a foot before deciding it totally wasn't for me and getting off again! At least I can say I tried though eh! There were 11 of us in a 3 bed house, so it was a bit manic with people sleeping on sofas and blow up beds but it was a load of fun, eating masses of home made curry followed by Stew's Nan's apple crumble & cream. I've also had a new Mini in my life. Last Monday I made a massive leap and decided to sell my convertible I'd loving named Larry. 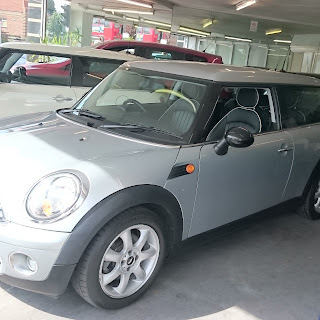 I decided I wanted to stick with Mini but I fancied something a bit more practical so I brought a Mini Clubman. MISTAKE. Don't get me wrong there's nothing wrong with a Mini Clubman. 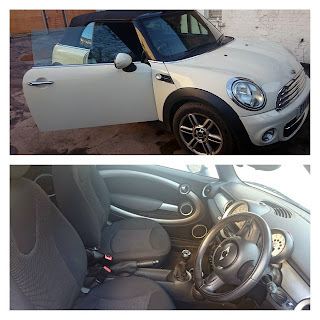 The one I brought even had upgraded leather seats and loads of extras but it just wasn't me! So today, I went and swapped the Clubman for my new love of my life Larry the second. He's a Mini One Special Edition Pimlico! I'm head over heels back in love with my car and it feels like such a better fit. Plus he's a gorgeous blue colour! So what have you been up too this week? Oh I do love Shepton Mallet! Did you visit the outlet shopping area? 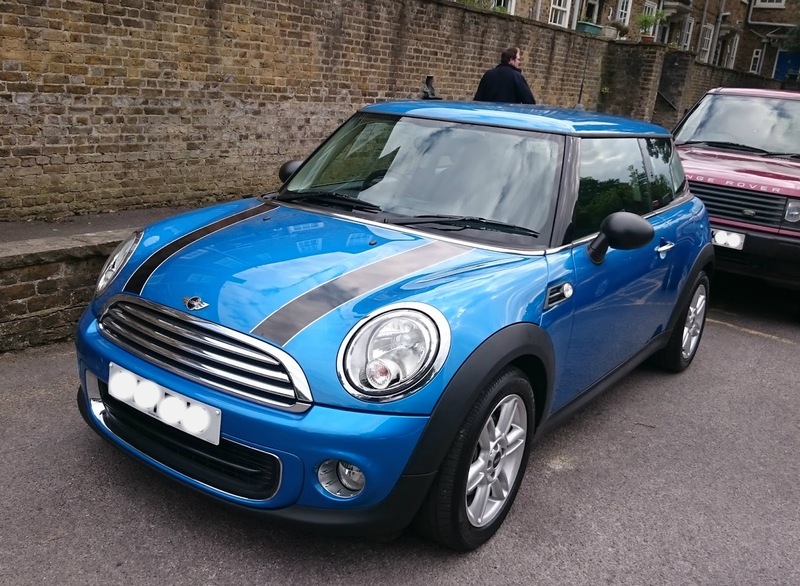 Your new mini is so pretty, I love the colour! Very Summer! Love your photos! Your new car is so cute - gorgeous colour! Beep Beep, your new car is so cute. I love Minis. I think you certainly made the right choice going back from the Clubman.